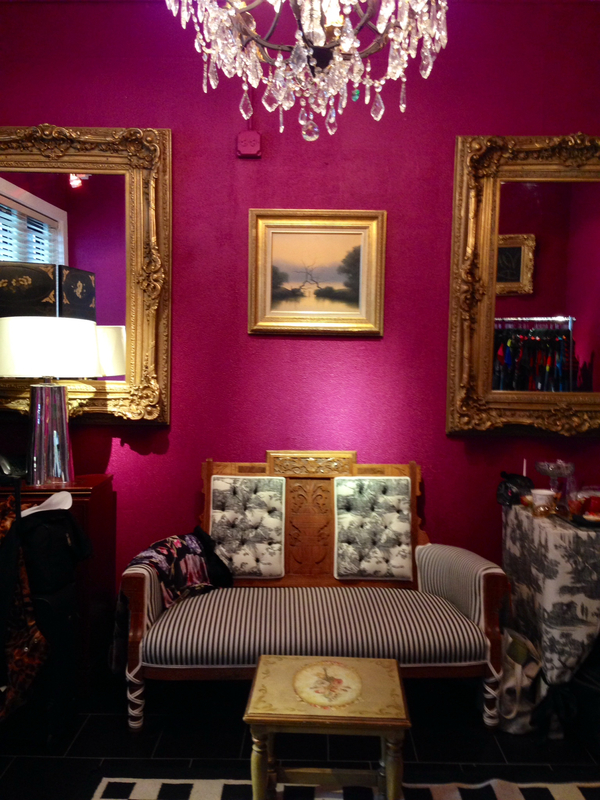 I love bold wall colors, ornate gold frames, and twall fabrics. This showrooms combination of all these elements made for a fabulous statement that really carried the “wow” factor. I personally tend to frame my art work and photographs in gold frames. I have tried to move away from them and branch out, but I just think they look fantastic on any wall. A gold frame brings light to any piece of art work, but at the same time doesn’t distract from the work itself.